This contemporary ballet company will introduce audiences to its bold new dance Biophony, which is Alonzo King's newest work in collaboration with natural soundscape artist Bernie Krause and composer Richard Blackford. Krause has spent more than 40 years traveling the globe with microphones tuned to the earth and its creatures to record a catalog of over 15,000 sounds of species and ecosystems. From waterholes in Kenya to meadows in the Sierra Nevada mountains, the combination of these soundscapes with the extraordinary talent of the dancers will be sure to dazzle and inspire audiences of all ages. This performance is meant to create awareness of these parallels that exist between human life and the natural aspects around us. This ballet incorporates classical technique with dynamic and improvisational elements to create a unique mixture of dance never seen before. Biophony is a term coined by Krause to describe the imprint of a habitat's living creatures. The movements create an environment that helps to rejoin two worlds that were never meant to be apart: civilized and primal. Click the image above to watch the video "Tracing Lines with Alonzo KING" for a preview of what's in store! A soundscape consists of three parts: Geophony - nonbiological, natural sounds like wind and water, Biophony and Anthropophony - sounds made by humans. It's been stated that a number of soundscapes recorded by Bernie Krause can no longer be heard in their original form, having gone extinct or silent due to human destruction and expansion into the natural habitats of certain species. Thus, Krause hopes his work will provoke conversations surrounding innovation and contemporary dance, as well as sustainability and raising awareness to Mother Earth's fragile ecosystem. For a sample of music from LINES Ballet's Biophony, check out Krause's wild soundscapes from "The Great Animal Orchestra Symphony!" 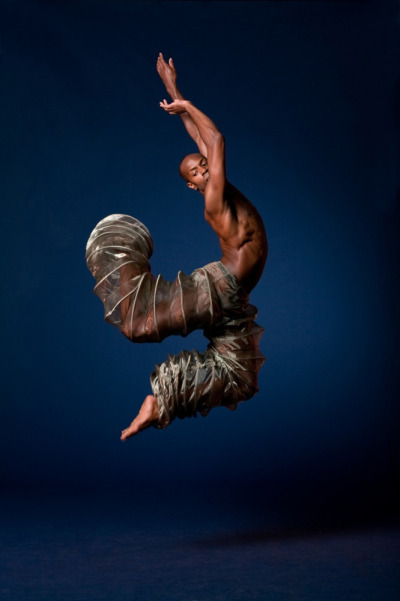 Alonzo King LINES Ballet will perform on Tuesday, June 16 in Baum Walker Hall at Walton Arts Center. Tickets are $10 and can be purchased online at waltonartscenter.org and by calling 479.443.5600! This presentation of Alonzo King LINES Ballet was made possible by the New England Foundation for the Arts' National Dance Project, lead funding from the Doris Duke Charitable Foundation and The Andrew W. Mellon Foundation, and additional support from the National Endowment for the Arts.